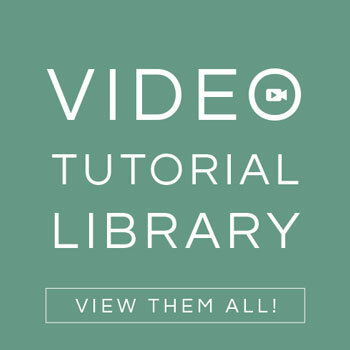 Today I am posting Part 2 of my Paper Wedding Crafts video class series with Creativebug. In Part 1 of the class, we made a beautiful crepe paper floral headwreath that can be used as a cute accessory for the flower girl in your wedding. For Part 2, we will be making a crepe paper flower garland backdrop! 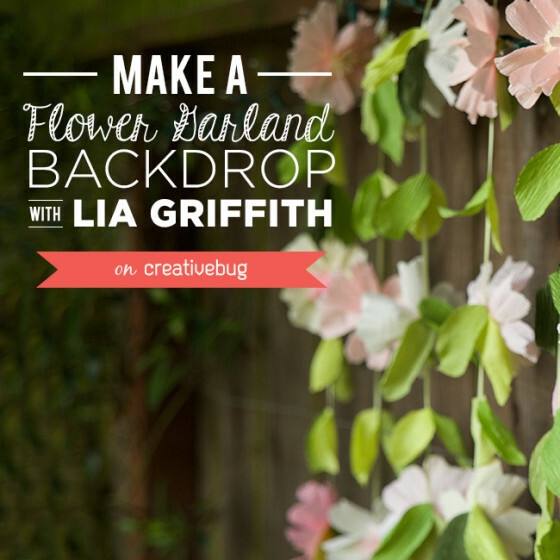 This video is a full class on how to make this gorgeous paper flower garland that you can use for a floral backdrop or a photo booth background for your wedding reception or bridal shower. I originally developed this project as a beautiful DIY wedding backdrop, but it would also look so cute as a backdrop for a variety of events! 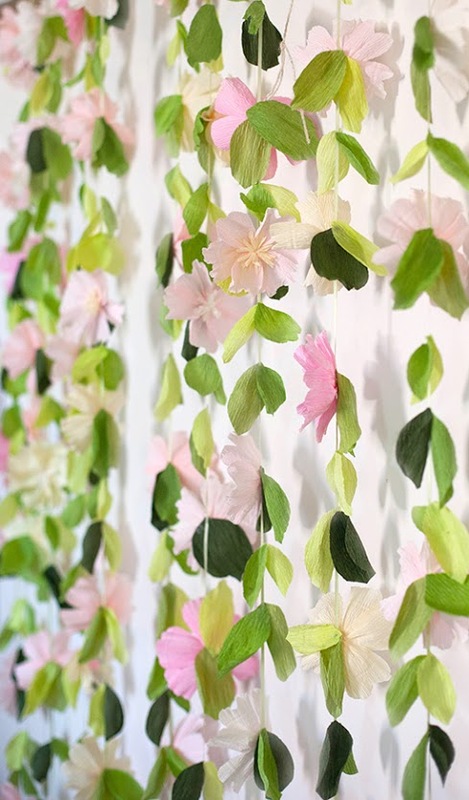 This garland features one crepe flower blossom design in different shades of blush pink, with a simple leaf design using the same variation in green colors. When it’s all put together, the colors look so fresh! I used a narrow satin ribbon for the base of the garland strands and attached the blooms using hot glue. 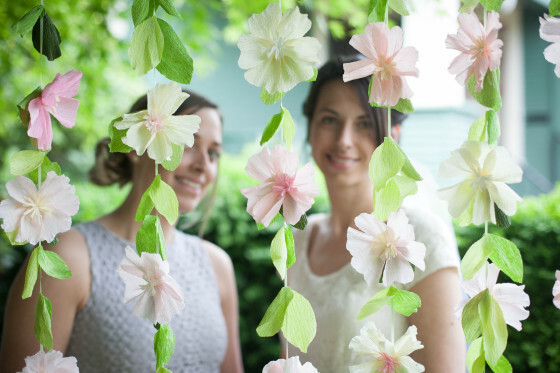 Making your own wedding backdrop is so easy, and such a beautiful way to stay on budget for your reception. My hope is that you will also find it to be a fun project to make together with your fiance! 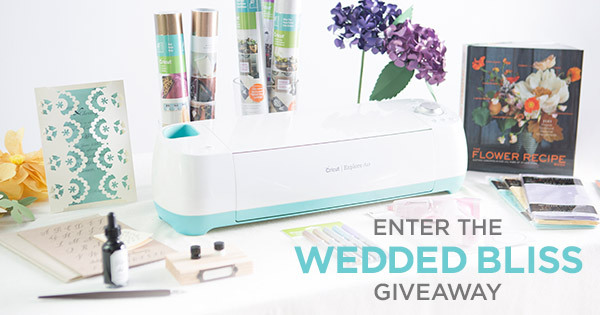 Enter the Wedded Bliss Giveaway! Whoo hoo!! What an awesome giveaway! 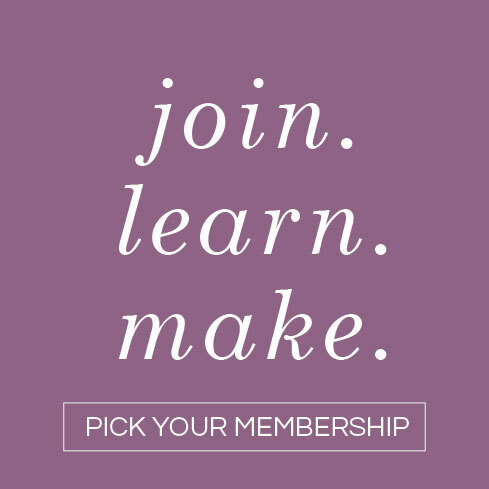 I had just yesterday commented on your youtube channel about your thoughts on the new Cricut vs Silhouette, and last night I had found your Craftsy (which I LOVE already) class, then saw your recent reply back referring me to it. I’ll be sure to check it out. 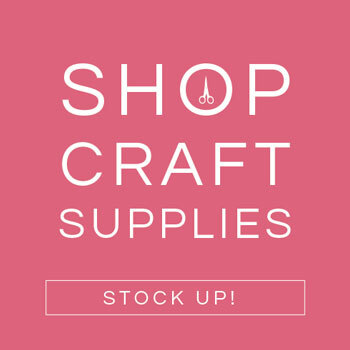 I entered the giveaway, I’ve been watching everything Cricut these past few days so I can be well versed on using it.